Christi from Charm Home made a DIY version of this for $35. Pottery Barn's was $200. Get the how-to at This Photographer's Life. 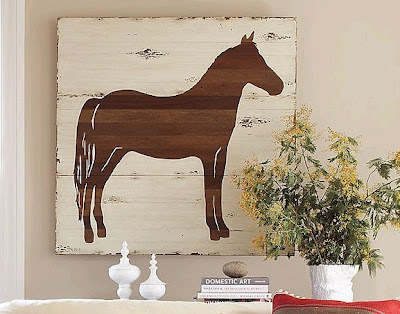 I like the use of negative space here though I live far too far from horses for this not to be ridiculous in my own home. Seriously, there is so much "art" out there in chain stores that is so easy to replicate with some time and patience. This is a great DIY... simple but great results. Thank you so much for featuring this on your blog! Your blog is lovely, by the way! 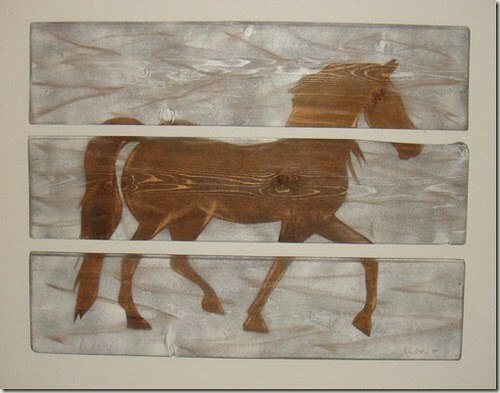 Like Alexis, I think I might need to pick something other than a horse, but I love the technique and the result.